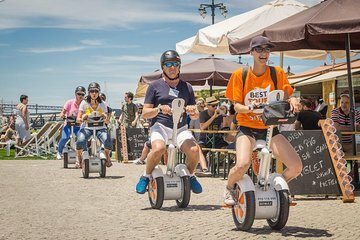 Explore Lisbon’s riverside sites on a SITGO tour from Belem to Cais do Sodre. This unconventional tour uses a mobile seating chair, the Sitway, so that you can travel for long periods of time without standing. Visit key landmarks such as Jeronimos Monastery, Belem Tower, the Monument to the Discoveries, the Docas area, and more during this 90-minute tour along the Tagus River.